I don’t really seek out hot weather holidays; I’m OK in the cold (providing I’m dressed appropriately), and it’s rare that I want to just sit on a beach and do nothing. 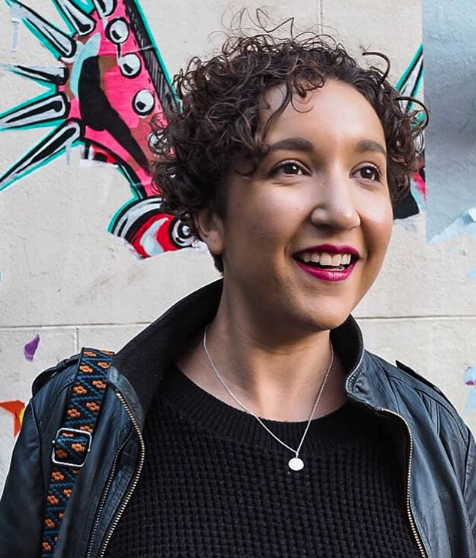 But stereotypical ‘nice’ weather often means being able to go out and explore more, and hey, I’m not opposed to getting a tan, so a warmer climate can be a nice addition to a holiday. I never knew I could be so impressed by a sunscreen, but here I am shouting from the rooftops about this product. This lotion* is made for skin that tans easily and rarely burns, which thanks to my Jamaican genes fits me to a tee, but let’s make it clear that I am absolutely capable of getting sunburn. I’ve been wearing this in the scorching ozone layer-free sunshine of New Zealand for the last week and my skin hasn’t succumbed to a hint of red. 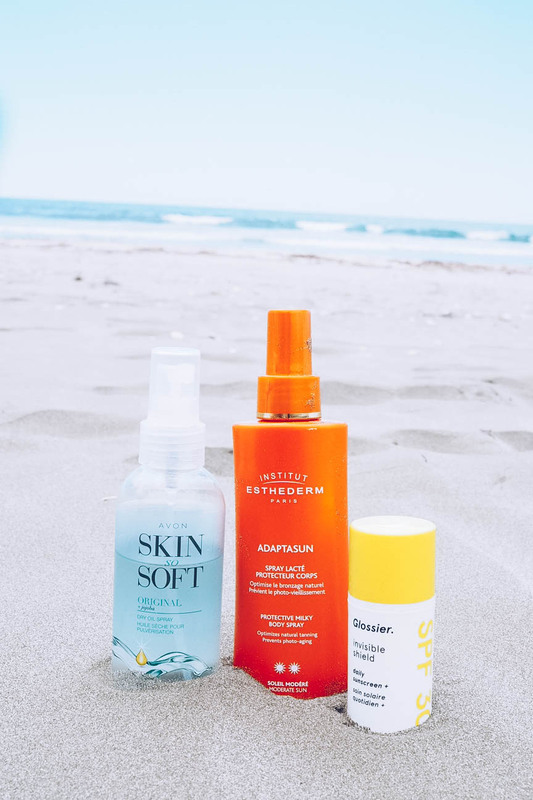 Even my whiter-shade-of-pale other half has been singing it’s praises as it naturally helps your skin adapt to various levels of sunshine, rather than just blanketing one level of SPF across you. It’s super clever, smells divine and is honestly well worth the hefty price tag. After years of reading the hype about this product, and even longer of suffering hideous insect bites, I finally succumbed to trying this cheap and cheerful dry oil spray from Avon. I cannot begin to tell you how awful my bites can get; they swell up to a painful size, turn purple and blotchy and are hot to the touch. When I’m abroad, I take an antihistamine everyday and carry prescription steroid cream with me to stop them from getting infected. But holy crap, this stuff actually works. I’ve been spraying it religiously on me in mozzie-prone areas and I am sans bites like an actual holiday miracle. I’m completely sold! AND IT IS ONLY £2.50! I’ve been looking for a daily SPF for a while now, as I’m very aware that I’m 30 this year and years of smoking won’t have helped me age gracefully. 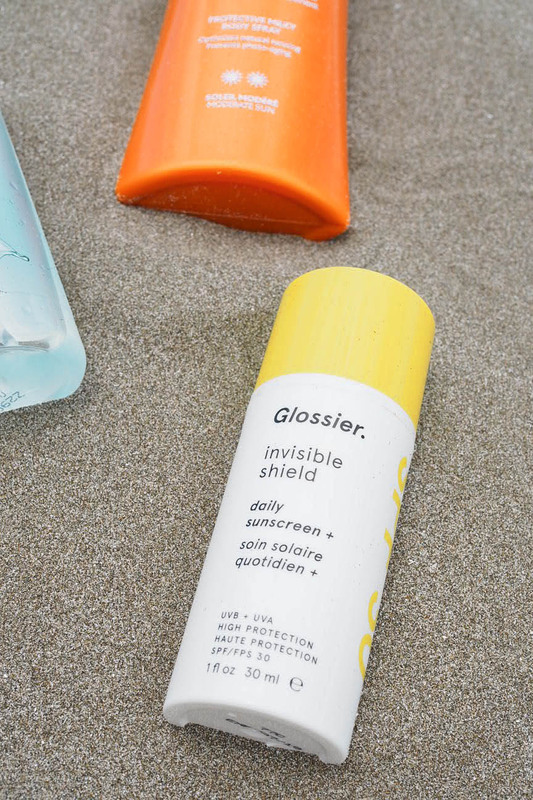 I visited the Glossier pop-up a couple of months ago and very unexpectedly in love with their Invisible Shield product. Not only does it smell incredible but it’s so light, leaving no greasy white sunscreen marks and I can wear it over my primer and under my make-up with no issues at all. 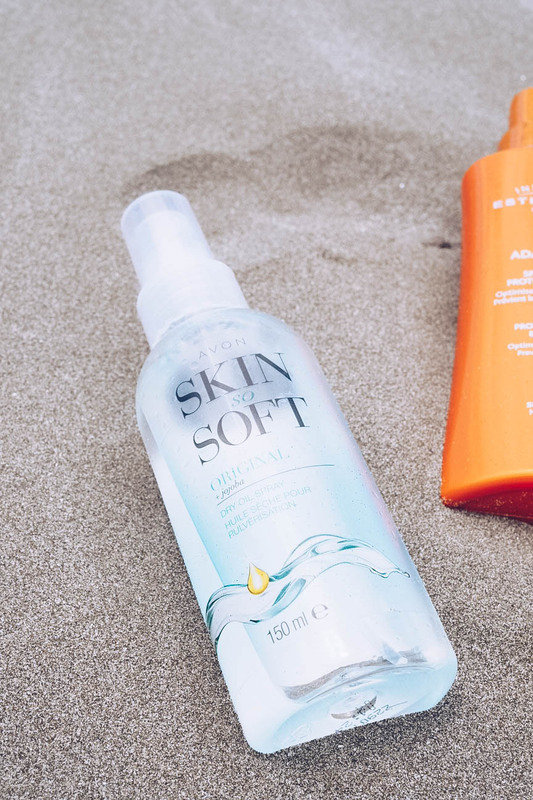 Its SPF 30 means I’ve had zero sunburn issues on my face in hot weather and as it’s an everyday wear, I don’t even have to think about applying it. They’re not the cheapest items in my cosmetics bag, but in this case, I won’t think twice about repurchasing. 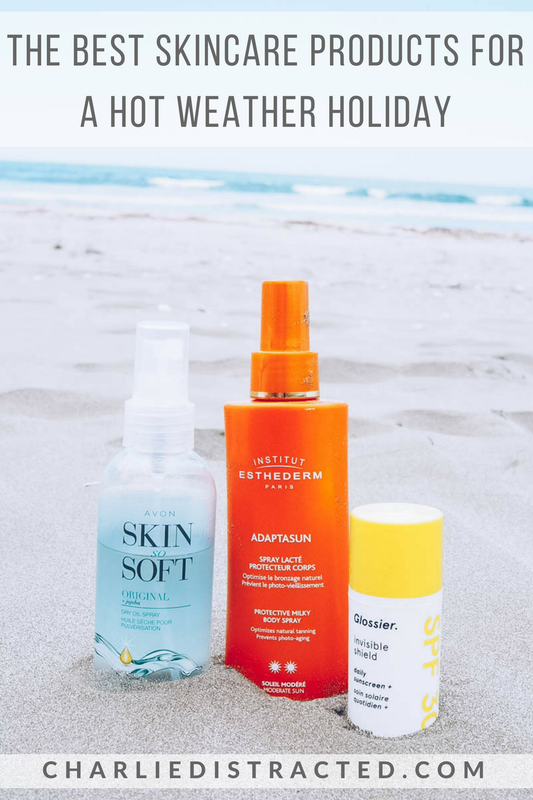 Protecting my sensitive skin abroad is hard work and now I’ve found products that take the effort away from me, I’ll be using these anytime I fly off to warmer climes. 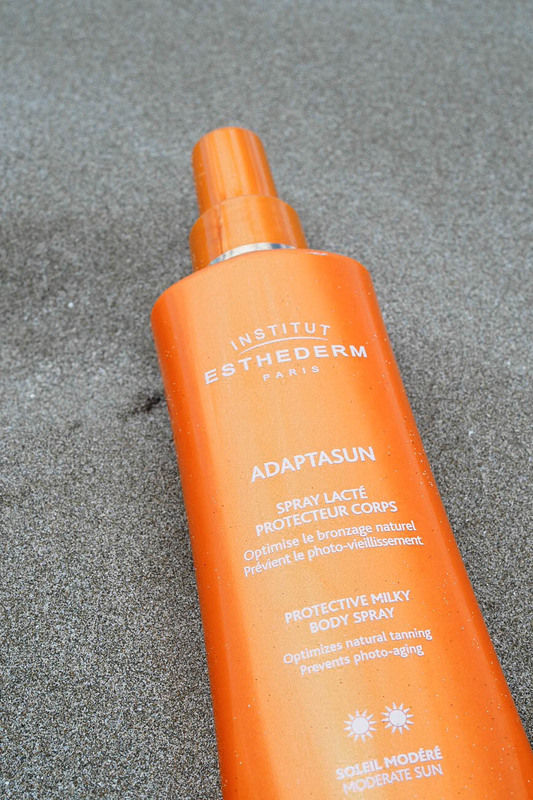 * Institut Esthederm Adaptasun Protective Body Lotion was gifted to me and to be honest, I didn’t think I’d write about it but it’s genuinely THAT GOOD that I wanted to share it with you lot!